For Serious Consideration. - Salonen&Co. Salonen&Co. Attorneys Ltd. - For Serious Consideration. A legal challenge is always a business matter. The better legal advice you get, the better business you will conduct. Our clients come to us for open-minded legal advice based on our solid 25-year experience. As independent attorneys, we will question everything without prejudice. Through our prudent practice, we leave no questions unanswered. With us, you will sign with confidence. Asianajotoimisto Salonen & Co Oy - Vakavaa harkintaa varten. I. ~ For Serious Consideration. Our lawyers are ranked Highly Regarded by IFLR1000 in 2018. The attorneys behind Salonen & Co. 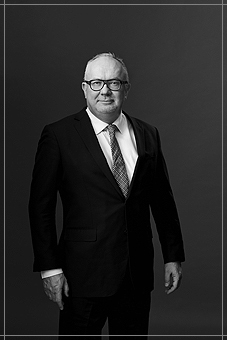 Attorneys Ltd. ~ Asianajotoimisto Salonen & Co Oy ~ have over 25 years of experience in advising boards and management of both privately held and publicly traded Finnish and international companies on Finnish company law matters. We are accustomed in dealing with often complex cross-border issues and can offer insightful solutions in all stages of the corporation´s life span. We strive to show you all relevant angles for successful business decisions. Advice on a wide array of commercial contracts and risk management is also our core competence. Extensive transactional experience in multiple industry sectors combined with insolvency knowhow provides you with practical and sound solutions in all contractual matters. 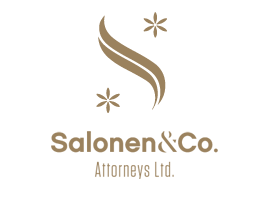 We have recently been recognised as Highly Regarded lawyers by IFLR1000. The ranking was established on the basis of transactional experience and market feedback, rating lawyers with impressive track records and consistently recommended by clients and peers. The IFLR1000 is the guide to the world’s leading financial and corporate law firms and lawyers. II. ~ A legal challenge is always a business matter. The better legal advice you get, the better business you will conduct. Our dispute resolution practice aims on effective prevention and careful handling of disputes across diverse business sectors. We provide a full range of commercial litigation and arbitration services. Our attorneys have also a record of bringing parties to an early and successful resolution of their disputes. Practical insight accumulated for more than two decades in various industries combined with equally long experience in representing clients in actual disputes brings about a winning formula for all your concerns and legal risks. III. ~ To understand law and business, you must see how things are, not just how they may appear. Success depends on unclouded judgment. We advise boards, management, shareholders, creditors and other interested parties of a distressed company or when the need to adopt a fundamental change in a business is at hand. We have background in advisory roles in several high-profile cases and have acted as administrators, receivers, public receivers and trustees in major bankruptcies and corporate restructurings in Finland. When your business or your business partner is unable to fulfil its contractual obligations it generally pays off to seek comprehensive legal advice without any delay. The sooner the circumstances, risks and available options are analysed the better the chances are for minimal losses and /or amicable and voluntary solutions. IV. ~ Our clients come to us for open-minded legal advice based on our solid 25-year experience. Best solutions are based on sound legal insight. We offer service in all aspects of public and private mergers and acquisitions. The team has advised businesses, shareholders and investors in both strong and weak market conditions and gained knowledge in virtually all transaction types and in multiple industries ranging from various technologies to traditional manufacturing. We offer you effective, cost efficient and solution focused service and support for all transaction, partnering and negotiation needs you or your business might need. With us, you will sign with confidence. V. ~ As independent attorneys, we will question everything without prejudice. Through our prudent practice, we leave no questions unanswered. Recognised as Highly Regarded lawyer by IFLR1000 regarding M&A and restructuring and insolvency. Founded Salonen & Co. Attorneys Ltd. with over 25 years of experience in advocacy. He served as a board member in several companies particularly in technology and entertainment. Of counsel in one of the major and largest law firms in Finland. Partner since 1997. Nominated as the trustee in bankruptcies of Air Finland, Inion, a company listed in London stock exchange, later called Noini and Vator. The head of insolvency and restructuring practice in one of the major law firms in Finland. The head of Russian operations at one of the major law firms in Finland. He has a lot of experience in Russian legal issues including M&A. The head of Baltic operations at one of the major law firms in Finland. He worked with transactions in all Baltic countries. Worked with transactions and represented in litigation the biggest clients in Finland and large international clients entering in Finland. Became one of five a partners in a growing law firm of 17 lawyers in Helsinki, which later became a 100 lawyer firm in Finland. A litigation lawyer, bankruptcy trustee and restructuring administrator the main client being the largest bank in Finland. Worked also with IP and IT contracts matters for insurance business, state administration and industry. Studies in Amsterdam University, master of laws (LL.M.) in European community business law 1992. A deputy judge, an associate lawyer and a position in corporate finance department in a bank. VI. ~ With us, you will sign with confidence. Recognised as Highly Regarded lawyer by IFLR1000 regarding capital markets, corporate and M&A and private equity. Of counsel at Salonen & Co. with his longtime business partner Mika Salonen with particular focus on private and public growth companies. 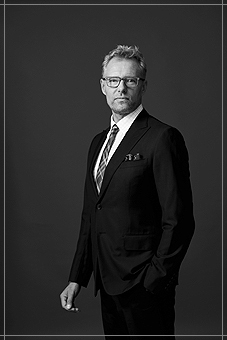 Became of counsel at one of the major law firms in Finland continuing his line of work in cross-border M&A. Partner since 2001. Advised Finnish listed companies on their cross-border transaction and Russian parties in Finnish-Russian transactions and worked closely also with many UK and US based law firms. Mostly his clients were US based and other international investors and companies having commercial interest and activity in Finland in the IP/ IT fields as well as in more traditional industries such as forestry and manufacturing. Finland experienced a capital markets and listing boom, and he worked in many IPOs & listings of Finnish IT companies being in charge of the Capital Markets practice at one of the major law firms in the country. The economical landscape was completely changed in Finland due to the IT / dotcom boom and his client base and workload consisted entirely of domestic and cross-border Venture Capital, Private Equity and M&A investors and transactions. Invited as partner at one of the major Finnish law firms. Admitted both to the New York Bar and Finnish Bar. Worked as a visiting foreign lawyer in Sullivan & Cromwell, New York. Prepared for the New York State Bar Exam which he successfully passed. Moved to New York to begin post-graduate studies in the Corporate LLM program of the New York School of Law. His studies were partly financed and supported by the Fulbright grant. Finland was hit by a severe banking crisis in the early 1990's. For several years he worked in a government originated assignment scrutinising the events and circumstances leading to a fall of one of the regional banks in Helsinki. Graduated from Helsinki University faculty of law and became permanent associate in a traditional law firm with practice focusing on litigation and general commercial and corporate matters. Salonen & Co. Attorneys Ltd. ~ Eteläesplanadi 2, 00130 Helsinki, Finland ~ Salonen: +358 45 218 6020 ~ ms[at]salonenco.com ~ Saanio: +358 400 877 816 ~ aps[at]salonenco.com ~ © Salonen & Co. All Rights Reserved.